Productive people flow involves both, optimizing the journey through the store, and increasing sales along the way. 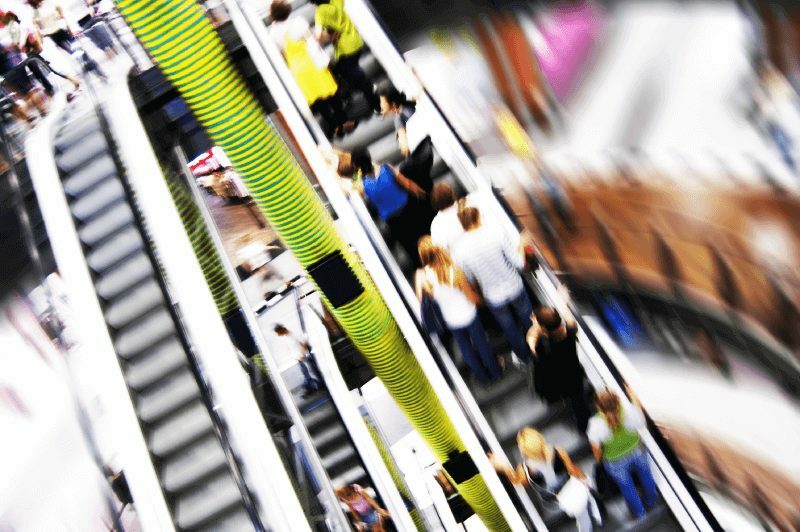 This begins with location-aware technologies following the shopper’s every move. It even starts before the customer enters the store. Location-based services draw walk-by foot traffic into the store through apps and live targeted notifications. Enticing technology and customer experience seen from the street also pulls in customers. One of Kroger’s new Retail IoT solutions is their QueVision technology which has lowered checkout times from 4 minutes to less than 30 seconds. Kroger launched EDGE (Enhanced Display for Grocery Environment) enabling advertisements and product information to be displayed digitally on the edges of product shelves. This further informs and entices consumers to purchase along their journey. Home Depot is now guiding customers through their giant, confusing stores with interactive location based services and an app. This let’s employees focus on stocking shelves and other duties. Devices can further help customers by sending the proper assistant based on the customer’s location in the store or based on what product they are viewing. Employee time is not wasted and they can focus on important tasks, streamlining operations. IoT is used to streamline operation in logistical giants such as Amazon and Walmart. IoT retail solutions in the back-end help with inventory control and tracking. Packages and products are affixed with smart tags that track items from manufacturing through the sale to the consumer, and back with returns. This allows companies to accurately keep up with demand and improve supply chain costs. This data is coupled with real time sales floor inventory allowing employees to re-stock or better position products on demand. This improves customer experience and productive people flow. iBeacons in stores also gather data of customers on their shopping journey. Retailers then optimize floor plans, product placement, and marketing materials to further increase sales. The IoT will not only influence the sales process but also help with inventory control and tracking. Products, packages and pallets will soon require smart tags which can track items from manufacturing right through distribution and on to the final delivery to the consumer, and of course any potential returns. 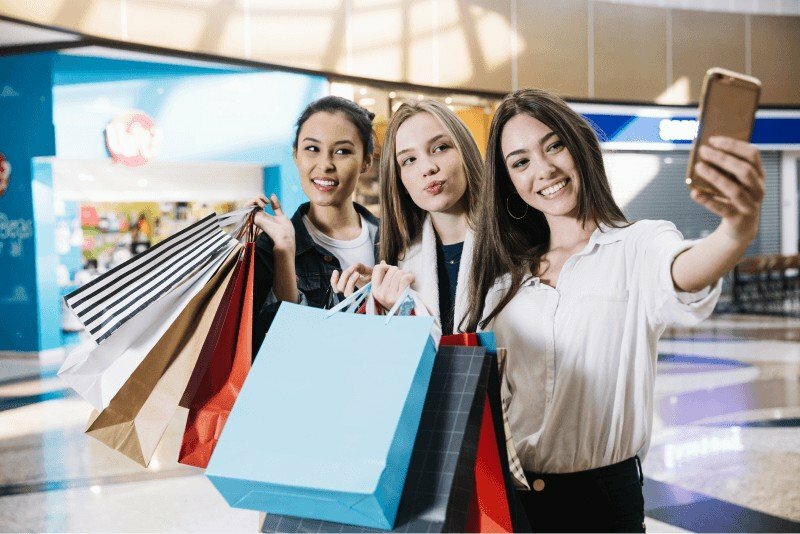 With inventory becoming automated and with employees able to better serve shoppers, the customer experience is improved. 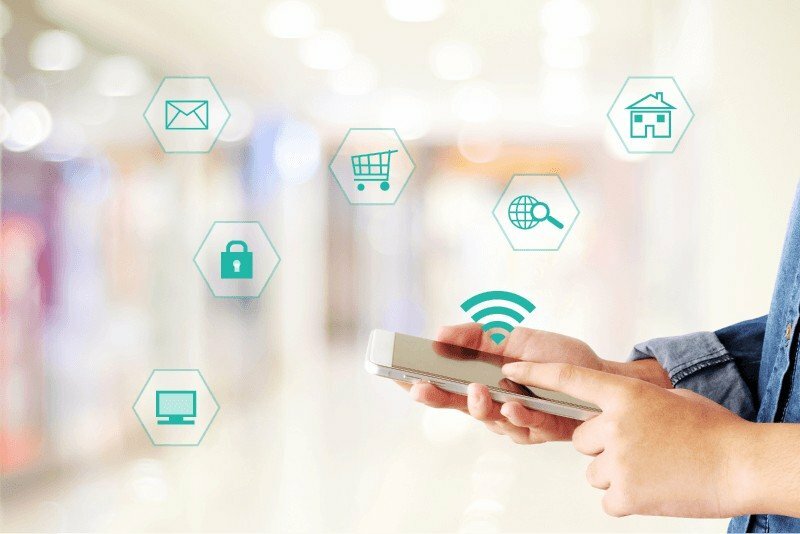 IoT retail solutions improves shopper experiences by creating productive people flow. Marketing and sales are also improved through collection of product, inventory, and shopper data. Customer’s in many home improvement stores can scan products at kiosks for information and pricing. Giving each shopper an app or cart with tablet, can exponentially improve this experience. Product details can be found instantly by scanning the product where it is located in the store, increasing incentive to purchase. Recommendation engines can then provide compatible or accessory products for increased up-sells and cross/sells. Sales, coupons, and real-time ads can also be displayed as customers pass by products or departments. Dwell time at a product can be incentivize also with promotions. IoT digital signage can change depending on the customer profile passing by, the items in the persons cart, or the time of day and weather. Store temperature or lighting can be controlled based on data collected, making customers comfortable. Kroger has even put IoT temperature controls to work in stores, with FAST (Food at Safe Temperature) Alerts. These monitor temperature trends and alert store management when anomalies indicate a problem. Employees can react and fix the situation before food safety becomes a problem. IoT can even make the entire shopping experience “cashierless”, with no employee interaction at all. AmazonGo and other chains like the UK’s Co-Op supermarkets allow shoppers to scan and bag products and to pay through an app, never having to communicate with a human. Shoppers want digital shopping experiences in physical stores. IoT is creating this reality by improving productive people flow, streamlining operations, and digitizing customer experience. IoT will continue to grow in usage as technologies behind it improve. Find out how a Retail Solution can improve your store!